Our custom made 1/2" aluminum mini blinds, also called micro blinds offer a sleek, elegant look and are perfect for shallow depth windows and doors. Made of a lightweight yet durable six gauge aluminum they are well suited for both residential and commercial applications and offer both strength and durability. The slats are both scratch resistant and spring tempered to ensure they stay in like new condition. Our 1/2" mini blinds are available in varies of colors. It comes standard with a deluxe valance. And it's great for windows with a shallow depth. Not only an excellent choice for mounting on entry doors, side lights and french doors, but also a more modern, contemporary look to your home versus 1" mini blinds. 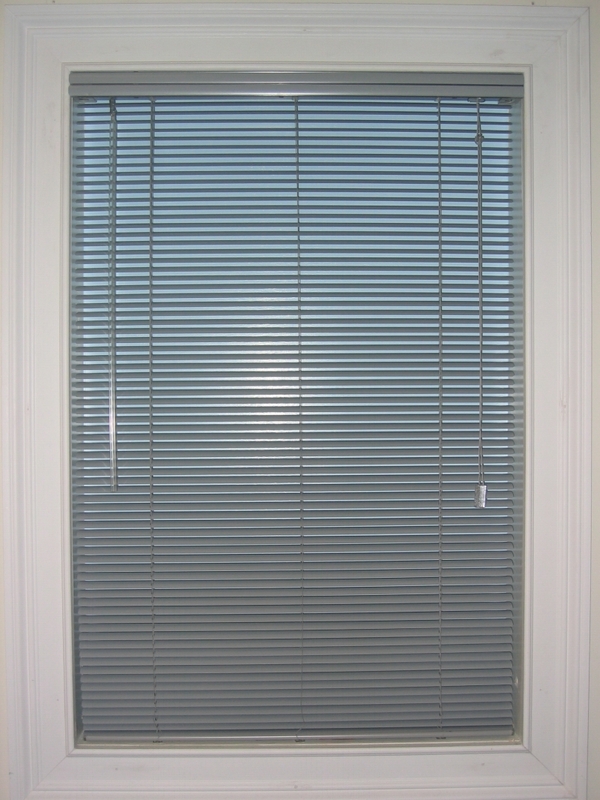 Mini blinds are popular, inexpensive window coverings generally used on windows in bedrooms, and kitchens. 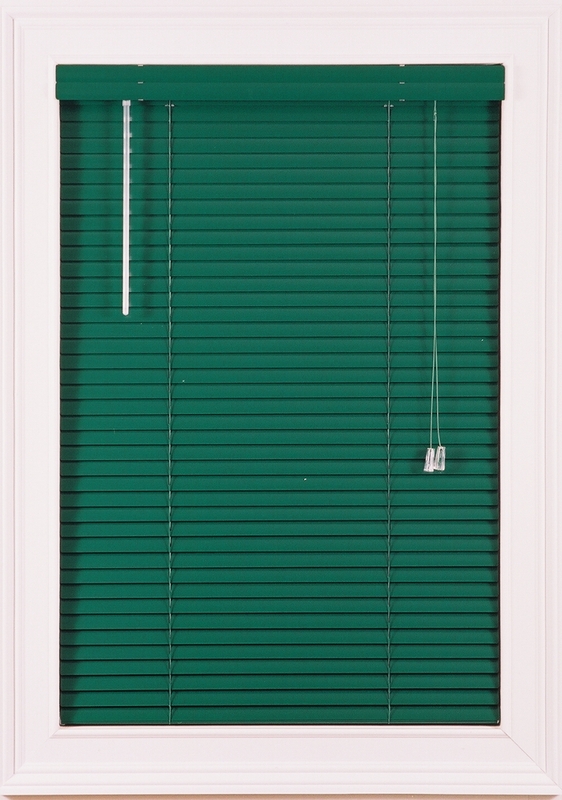 Our one-inch custom Mini Blinds are made from #6 gauge aluminum alloy slat material. The aluminum material used in our mini blinds also reduces damage from bending. The mini blind slat material is coated with a baked on polyester paint, which creates a resistance to chipping and cracking. 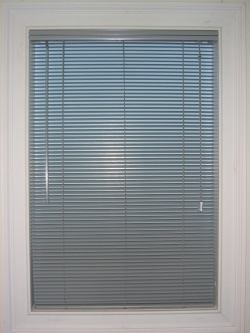 Mini blinds are a cost effective window coverings. Not only are they inexpensive, but they also hold up to wear and tear much better. They are also very easy to clean in comparison to other options. Mini blinds also provide a wide variety of positions for allowing different amounts of lighting to enter a room. There are even positions where you allow light to flow freely into a room while also maintaining privacy. Once you have selected the mini blind color that will best match your décor, then you will have to ensure that you are getting the proper size. For inside mount mini blinds, you will need to take the measurements of the inside of the window frame. Make sure to always clearly mark which measurement is height and what is the width. For outside mount, measure the opening width and add 3 inches to each side and then measure the length, adding 2 inches to this measurement. Our custom made 1" Aluminum Venetian Blinds include a 1" X 1" Steel Headrail which is color coordinated to the slat material and bottom rail of the blind. The 21.5 mm slat ladder spacing enables our mini blind to have a tighter closure ratio than other comparable products. The space age aluminum alloy slat material is rolled to thickness for maximum flexibility and reduction of damage from bending. Our venetian blinds also have a polyester base which creates a resistance to chipping and cracking. All product components are color coordinated.